Hazel is now 5 months, but was about 7 weeks in this picture. She is an English Mastweiler (English Mastiff/Rottweiler mix) and weighs about 60lbs now. She is goofy, but smart and coos when she's excited. What a sweetie... she is so beautiful! A good many vaulalbes you've given me. 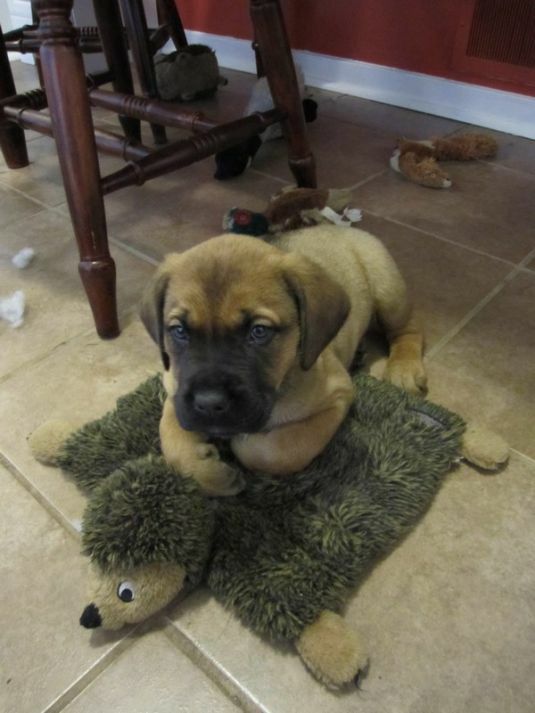 This looks EXACTLY like my pup at 7 weeks....do you have any newer pictures? I would love to what my guy might look like in the future.